We arrived in Rambin famished so as soon as we’d parked our bikes and dumped our bags, we set out in search of food. 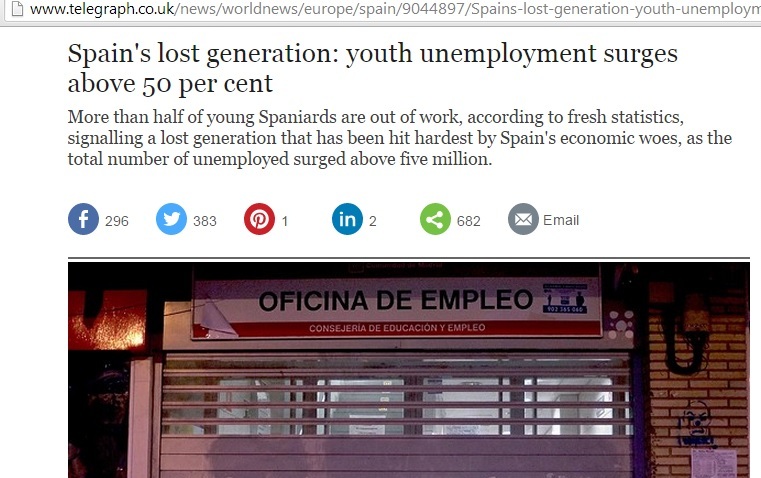 Such terms are, of course, relative. The street did boast a bakery, which was shut when we arrived and appeared to sell little more than herring sandwiches anyway. The other option was the farmers’ market a few doors down. LSB and I had been hoping for a hearty meal to round off our day of travel misadventure with Deutsche Bahn. Housed in an expansive building with traditional roofbeams, and featuring several aisles of attractively packaged products, it would surely satisfy our needs. But the more we browsed, the more we encountered the same word: Sanddorn. It was printed on jam jars, bottles, tins and boxes. “What is Sanddorn?” I asked. LSB wasn’t sure either but we agreed that we recognised it from a health-food context and that its properties were generally considered benign. 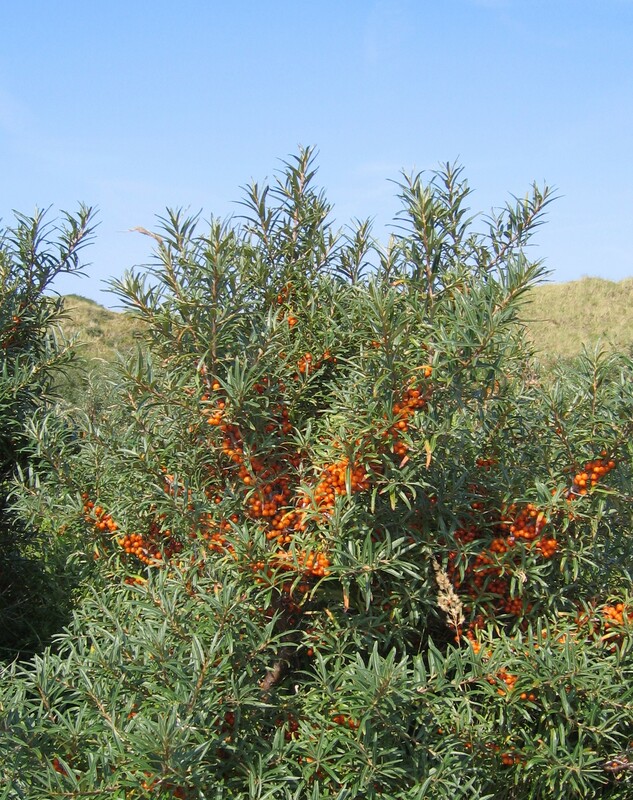 We didn’t have an Internet connection, so it wasn’t until the next day that we learnt that Sanddorn was in fact: buckthorn – a regional specialty which grows on chalk cliffs and promises to cure all kinds of bodily ailments. We didn’t exactly fancy a meal of over-priced condiments and sauces anyway so we decided to find an alternative eatery. We’d passed a few signs advertising a “Pirate Restaurant” on the way to Rambin. We weren’t sure whether it served anything vegetarian but figured it’d be a safe bet for a plate of chips. The signs led us through a little row of houses somewhat off the beaten track. Every few hundred meters we’d encounter another large arrow pointing in the direction of the pirate restaurant. After walking for about 20 minutes though, we began to suspect we’d gone wrong somewhere. Then, finally, we spotted another sign. Displeased and with our stomachs growling, we made our way back to the farmers’ market. That evening, safely ensconced in our cottage on Hauptstrasse, we feasted on a meal of bread and buckthorn mustard. “Do you have a navigation system?” the man behind the desk at Stralsund station asked. I sensed he was beginning to feel sorry for me. Unsure whether he was referring to the Google maps app or an elaborate set of compasses, I figured “no” was the safer bet. “You need to take a right when you leave the station,and another when you get to the crossroads. Eventually, you will reach two bridges. The bigger one is quite dangerous for cyclists, so you would be best advised to avoid it. However, the other might be difficult to navigate too because of the many fishermen who congregate there in the hope of catching herring. At this point, it is only fair to pay tribute to LSB’s restraint. Despite his protestations earlier that morning, he did not launch into a “I told you so” speech, nor did he accept my (what I considered very gallant) offer to abandon the bikes at the station and pick them up on our way back from Rambin. At the same time,he didn’t exactly seem very pleased about the situation. Nevertheless, we got on our bikes full of resolve to make the sea-crossing as smooth as possible. After passing through the village of Dänholm, we came to the two bridges the man at the station had told us about. One look at the scores of trucks whizzing along the top bridge convinced us to follow his advice and take the one below. Except that the Baltic Sea air reeked of herring. Despite the near-freezing conditions, the fishermen really were out in force. Positioned about a meter apart from each other, with identical buckets of herring by their side, they swept their rods in a giant arc behind them, causing me to swerve more than once to avoid being hit by their hooks. Once we had crossed the bridge, we followed the signs pointing towards Altefähr which we had learnt was nearby. This thatched roof was so impressive I got off my bike to see it. We got to a cobble-stoned village, full of pretty thatched cottages and trees bearing elaborate displays of hanging Easter eggs. 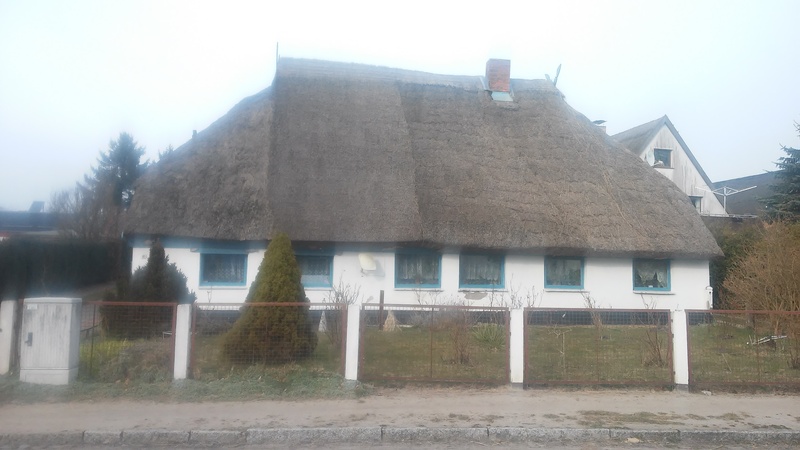 One thatched roof impressed me so much that I got off my bike to take a picture of it. When we got to the outskirts of the village, we stopped to consult Google maps once again. An elderly woman walking her dog took pity on us and asked us if she could help. We told her we were heading to Rambin. Thankfully, she’d heard of it. LSB and I had never been so close to windmills before. As we rode past them, we agreed that they really were pretty magnificent. It is difficult to describe the joy we felt when we finally reached the signpost telling us Rambin was only two kilometres away. After a day of unexpected exertion, our biggest priority was getting food. But we soon realised that Rambin is not known for its culinary offerings. As the hunt for sustenance took over the evening, it became clear that the day’s challenges were far from over. A few weeks ago I decided to treat LSB to a weekend away on Rügen (Germany’s largest island) for his birthday. 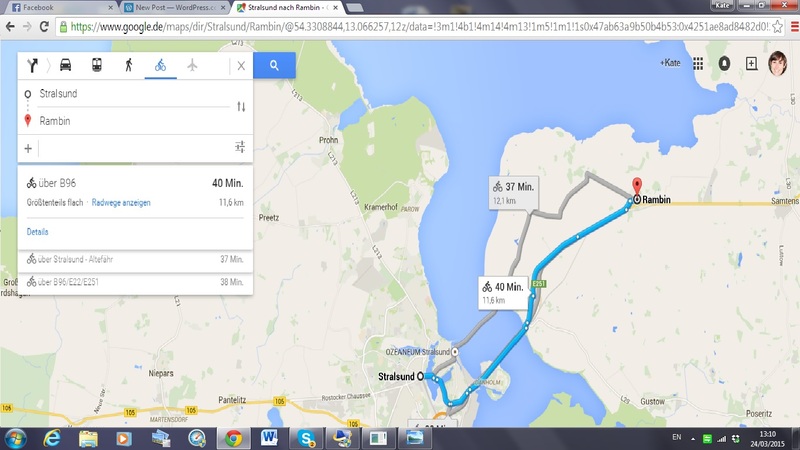 I did a quick Google of accommodation and stumbled upon a nice holiday apartment at an attractive price. I booked it immediately and told LSB not to worry about a thing; I had this whole trip under control. Shortly before we were due to leave by train on Friday morning, it occurred to me to bring our bikes. LSB looked out the rain-splattered window at the black clouds and reminded me that SNOW had been forecast for the weekend. Next, he expressed concern about the regulations governing bicycles on trains. (As you can see, LSB has integrated very well into German society). Defiant (because I wanted to bring the bikes) and grumpy (because it was morning) I grabbed the phone and called Deutsche Bahn’s Fahrrad (bicycle) hotline. What – you haven’t heard of it? Rest assured; it exists. An entire service dedicated to urgent enquires about bringing bicycles on German trains. After waiting on hold for several minutes (evidently they are very busy) I got through to Bicycle Hotline Lady (BHL). “Where would you like to travel with your bikes?” she asked. “Um, okay. I haven’t heard of it. Give me a moment please.” At this point, it may be worth pointing out that I do not have a reputation for consulting maps very carefully. I chose to stay in this town (“town” is, in fact, a remarkably generous description) because, unlike Bergen (Rügen’s so-called capital) Rambin is by the sea. Also, the charming holiday apartment there may have been one of the first on the list of Google search results. Anyway, the BHL told me that although she had not heard of my destination, she was sure the same rules applied as to all other places on the island. Taking the bikes on the train would be no problem though we would have to purchase tickets for them. Feeling considerably more gruntled, I told LSB the bikes were coming with us. Several hours later, the four of us were safely installed in a train compartment. 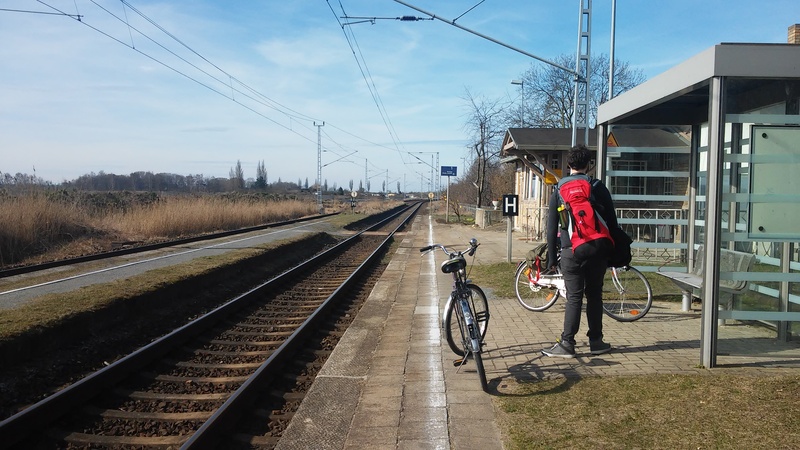 Like a model Deutsche Bahn couple, we cast our glances away from our bicycles only to admire the passing northern German scenery. 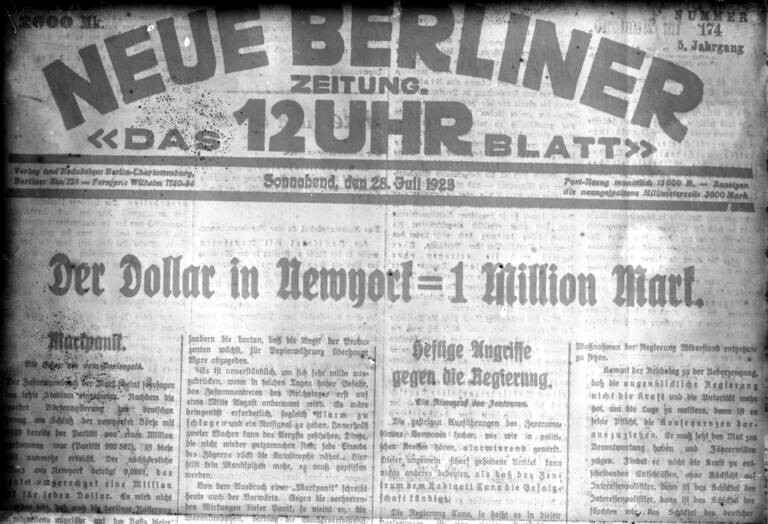 We were nearing Stralsund, a few stops away from our destination, when an announcement on the intercom told us that we must get out and avail of Ersatzverkehr (replacement transport) for our onward journey. We disembarked awkwardly and followed the signs pointing to the Ersatzverkehr. “My best advice is to flirt with the driver,” she said ruefully, living up to the German reputation for practicality. “But what about my Fahrrad ticket?” I asked. “It does not cover Ersatzverkehr. If you would like to complain to Deutsche Bahn for providing insufficient information, you can contact them via these channels,” he said, slipping me a card. This flirting thing was not going well. “There is nothing we can do. This is company policy,” he continued, climbing into the driver’s seat and shutting the door. It was only when the bus drove off and the wind began to howl that it really hit us. And headed for a place no one seemed to have heard of. I’m going to resume a much more regular posting schedule soon. Expect some half-baked musings for the “Big ideas” section,an update on preparations for Frau B’s 96th birthday and hopefully some anecdotes about an upcoming trip to the island of Rügen. In the meantime though, I’d like to wish you all a wonderful St Patrick’s Day. I was lucky enough to attend not one but two events here in Berlin to mark the occasion. One took place at the top of the television tower on Alexander Platz, the other in a Kreuzberg club which defied its dingy exterior to reveal a glorious Irish haven inside. With tea and biscuits on sale, bowls of potatoes on display and a spectacular performance by Jigs and Reels, an Irish dancing school in Berlin (run by a friend of mine) I felt as if I’d been transported right back to the homeland. 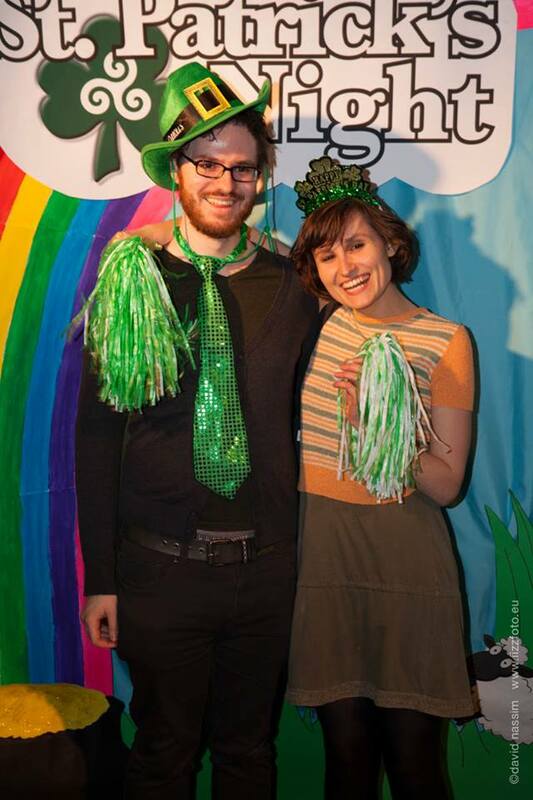 As you can see from the picture, LSB and I are fully embracing our Irishness for the day that’s in it.